Whatever you do, don’t look in the mirror. Jaime thought he’d hit the jackpot when he found the antique mirror out by the curb, just waiting for a new home. Hours later the old mirror with the ornate gold frame was taking up pride of place in his apartment. 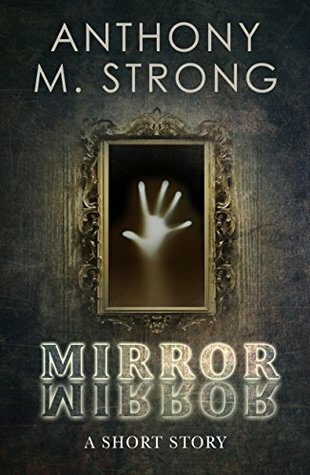 The mirror harbors a dark secret, and before long Jaime and his girlfriend Cassie find themselves up against a terrifying supernatural force that has its sights set on them. A tale of haunting that will make you think twice before walking past a mirror. I’m a sucker for a good horror story. I found Mirror Mirror on Amazon as a freebie and decided to give it a shot. Jaime is a college man who lives in an old apartment building. He’s been dating Cassie for a couple of years and they seem to balance college life and their relationship well. They don’t live together but they don’t spent a lot of time apart. Things are good. One day Jaime is driving when he spots an old mirror against a trashcan outside of a building. He almost passes it by but something makes him stop and put it into his old station wagon. The mirror isn’t pretty by any means, but it has its charm. Well, to Jaime anyway. Cassie hates it on sight but it won’t be in her apartment so she humors him. He places it in his bedroom and is happy with the way it looks even if does creep Cassie out. The first night of having the mirror in his apartment, Jaime is awakened to what he believes are scratching sounds. Quietly, so he doesn’t wake up Cassie, he gets up to investigate but there’s nothing there. Each night afterward there are more sounds. After awhile the sounds are the least of his concerns because whatever is in the room with him is starting to do more than make creepy sounds in the dead of night. Cassie only sleeps at Jaime’s apartment on occasion so she’s not there when most of these things occur. Jaime finally realizes that picking up the old mirror from the side of the road was the biggest mistake of his life. This is proven when things take a very violent turn and he’s convinced that the mirror is haunted. When he tries discussing it with Cassie, she’s convinced that the things he believes he’s hearing and seeing are all in his head. She loves him dearly but she doesn’t believe in things that go bump in the night. She’s convinced that what he claims is a haunting is Jaime being overly stressed due to his hectic college schedule. He tries to get rid of the mirror to no avail. Whatever is in it is determined to stay as it has attached itself to Jaime. This was a nice horror short but I have to say that it was very predictable. There were a couple of little twists here and there but I easily – almost from the first page – predicted the ending. I wasn’t surprised at all when everything came to a head. 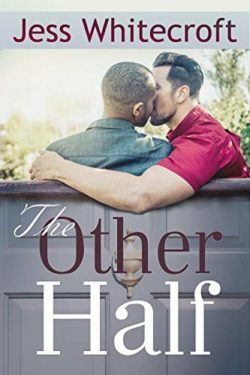 It’s fast-paced and it will keep you turning the pages of your Kindle but there are some things that I personally found distracting as I was turning those pages. The spelling of Jaime goes back and forth from Jaime to Jamie throughout the entire book. There were also quite a few other editing issues that stood out big time. While I enjoyed the story well enough, it’s definitely in need of a good proofreader. Otherwise, a nice, quick read. Great review, Cindi. I know how much you do love a horror story. It’s nice to get out of our primary genre, isn’t it? I seriously wish writers would value editors/proof readers. Editors and proofreaders are very important. I could’ve maybe overlooked the other stuff but the back and forth between Jaime and Jamie was a bit much.